Edited to correct two omissions, one pointed out by Jim Olson. 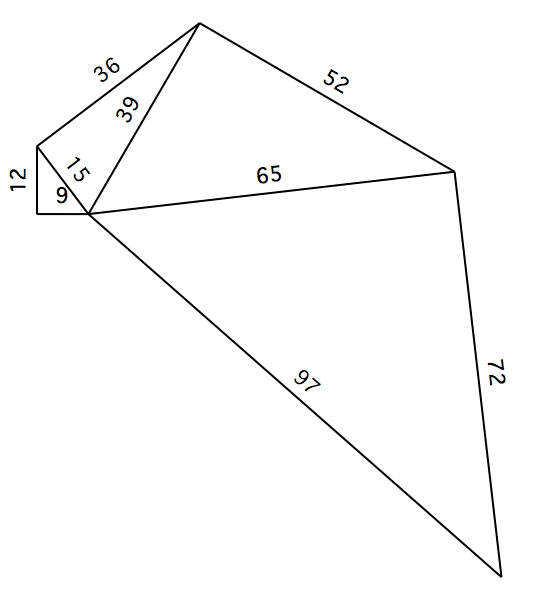 Is there an easier way to do this than to find or build a list of all Pythagorean triples with hypotenuse < 100 and start looking through it? and the first two satisfy the requirement that the hypotenuse of the smaller triangle be the smaller leg of the next. In either case, the smallest and largest sides are 9 and 97. 9,12,15 ; 15,20,25 ; 25,60,65 and 65,72,97. Both series give the same solution: 9mm and 97mm.